Tiny pointy trees in the background. They are making me happy. Also, they feel cold… brrr. 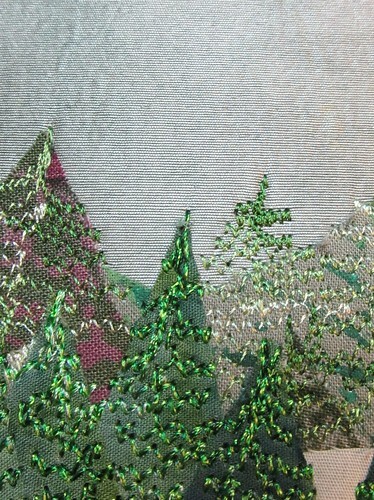 There are three layers of medium, muddy greens making up the trees, one hand dyed, one hand painted, and one commercial. The interesting thing is how the thread works to consolidate them – even though I used four different threads, singly and in pairs.